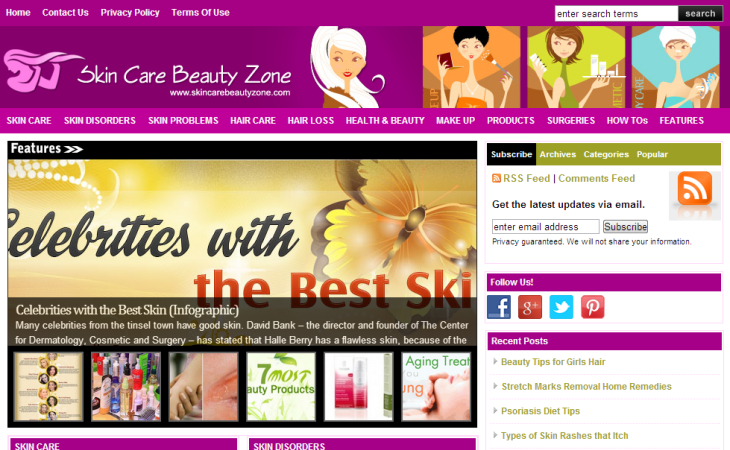 Skincarebeautyzone.com is a website that understands the requirements of a healthy skin. It is a complete guide to skincare and haircare and gives in-depth information on the various skin and hair disorders. The website focuses on the health aspect of skin as well as its cosmetic care. There are separate categories on the kind of skin and haircare products that one can use based on their skin type. Cosmetic surgery and corrective aesthetic surgeries are also given equal importance. Foods as a therapy for various skin conditions are also given prime importance. The ultimate goal of this site is to make every skin care and beauty information available to its readers.